Beginning this July, Bloody High will officially launch and become the premiere (only?) 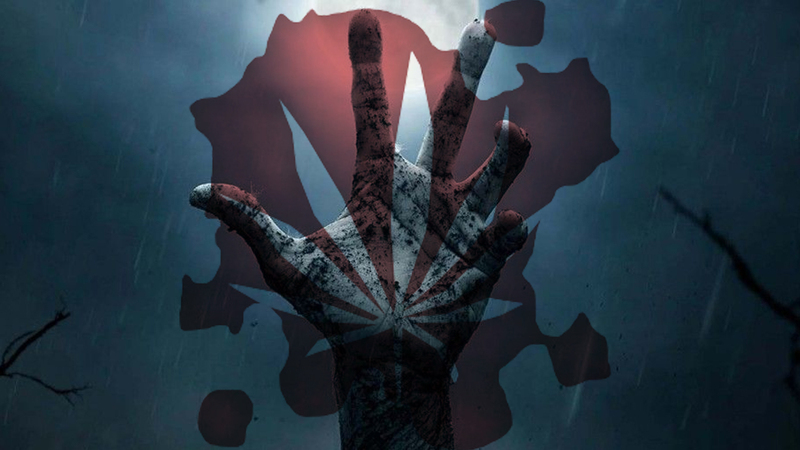 destination for horror and cannabis reviews. There are few greater pleasures in life than smoking a bowl and settling in for a night of unbridled terror. So I've decided to begin chronicling my experiences in order to share them with the rest of my soon-to-be pot-loving horror fans around the world. Every first and third Tuesday of each month a new horror review will be posted along with the strain taken while viewed. But you won't have to wait long to get a taste. I've finished writing my first entry and will post it this Tuesday, June 5th. So come on back and give it a read to get an idea of the type of content and writing style you can expect come July. Admittedly, this site is super niche. A niche within a niche, if you will. But I have to imagine that I'm not the only one out there that thinks horror + weed is the next best thing since peanut butter + chocolate. Amirite! Sound off in the comments below if you feel the same way. Heck, sound off if you don't. At this point I'm just desperate for any audience at all!